Autodesk has released the 2015 editions of their Entertainment Creation Suites offering artists and production facilities access to a powerful range of creative toolsets. 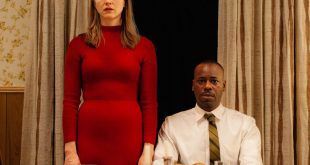 There are two suites that have been released. In Standard, you pick either Autodesk Maya or Autodesk 3DS Max, and you also get Autodesk MotionBuilder and Autodesk Mudbox. Then there is the Autodesk Entertainment Creation Suites 2015 Ultimate suite, which not only gives you both Maya and 3DS Max and the other products in the standard edition, but also adds Autodesk Softimage. I will be reviewing Autodesk Entertainment Creation Suites 2015 Ultimate and will break this down into two reviews. The first part coveed 3ds Max, MotionBuilder and Softimage, and this installment will cover Maya and Mudbox and Maya LT.
Autodesk Maya is a 3D animation and 3D modeling software application used for simulation, visual effects, rendering, and compositing. It is used in TV, major motion films, and the gaming industry. Maya is an integrated node-based software application for 3D digital animation and visual effects. Using Maya, you can create and edit 3D models in a variety of modeling formats and animate your models using a whole host of animation tools. Maya also provides the ability for you to render your animated 3D scenes to achieve photorealistic imagery and animated visual effects. Complete system requirements are located at the Autodesk site. So what is new with Maya 2015? • Bifrost procedural effects platform now gives you more photorealistic renderings of liquids. Designed from Naiad technology, it works separately from Maya which means that while Bifrost is creating the rendering, you are still able to work on your scene to better refine it for when the rendering is done. • XGen Arbitrary Primitive Generator allows you to populate the surface of a mesh with an arbitrary number of primitives. It will allow you to work with large amounts of instance data that would normally slow down a system if you tried to load it into memory. You can populate landscapes or characters quickly and easily with the appropriate materials. • Geodesic Voxel Binding is a new smooth skinning method for binding geometry to joint skeletons that provides quick high-quality results. Unlike other skinning methods, the Geodesic Voxel method handles complex geometry found in real-world meshes giving you the ability to produce higher quality results in much less time. 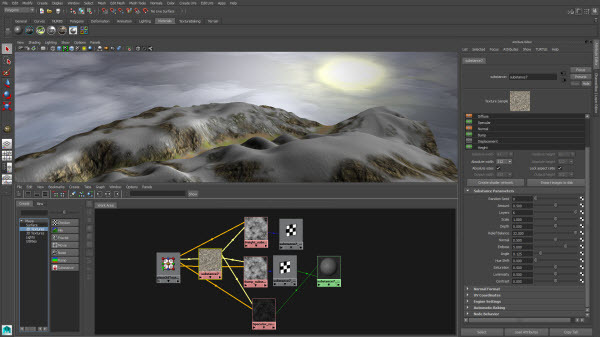 • ShaderFX allows you to build advanced HLSL, GLSL, and CgFX viewport shaders using the real-time visual shader editor. By connecting different nodes together using click and drag, you can create shader networks much more efficiently. • Open Subdiv will help in making it a whole lot easier to populate your world’s characters. Now you can preview high-resolution versions of your characters using the subdivision surface technology created by the Pixar animation team. By using both CPU and GPU architectures you will have superfast viewport performance. 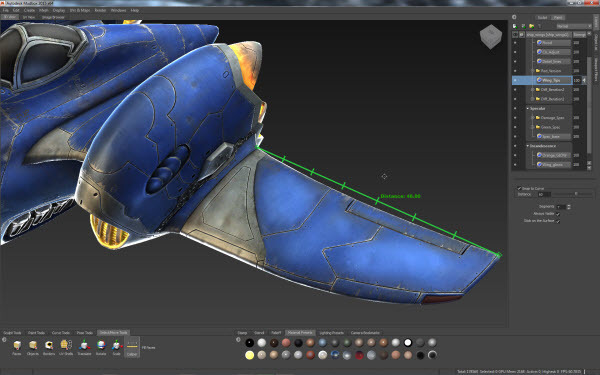 • Enhanced polygon modeling gives you the ability to retopologize high-resolution meshes giving you cleaner deformations and better performance. With a new Relax and Tweak feature with Soft Selection in the Quad Draw tool and an interactive Edge Extend tool, you will find your workflow much more streamlined. Autodesk Maya LT 2015 is a new 3D modeling and animation tool tailored for independent and mobile game makers. The goal here is to make each step of the 3D creative process faster and to that end, the features included in this 3D animation and modeling software are aimed at making it easy to use and easy to learn for both experienced 3D artists and new users. 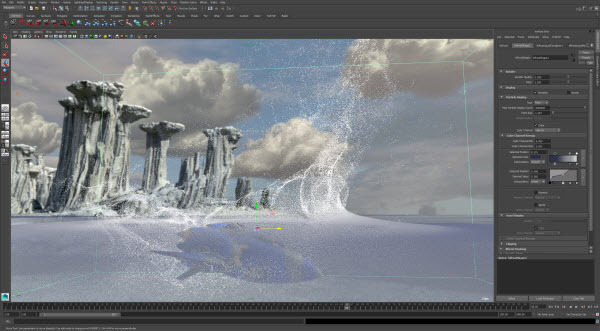 • Cloud Integration helps Maya LT users store and share their assets in the Cloud. This will help you work more efficiently with team members. You can browse and open files directly through the Maya LT interface. By opening, modifying, and saving directly to the cloud, you will be able to keep your work up to date where it is needed most. You can even create and save your work in the 123D Cloud Storage server as well. • Unfold3D will make preparing your characters and props for texturing much easier and less time-consuming. Unfold3D has been integrated into the Maya LT workflow and will help you create and edit UVs in a much more intuitive way. Now it will be much easier to cut out and unfold and present a cleanly laid out UV in a much shorter time. • Geodesic Voxel Binding will make your skin-binding work in preparing your game characters much more automated. Geodesic Voxel Binding will handle highly complex or less than perfect geometry and requires far less cleanup than traditional methods making it easier to achieve great results. • Improved character animation uses HumanIK and character rigging tools to speed up creation and character rigs allowing for better animation. Additionally, HumanIK skeleton rigs can now be mirrored allowing you to make changes to one side of the skeleton and then copy them over to the other side with the click of a button. You can also transfer animations from one character to another just as easily. • Open Subdiv will help populate your worlds with game characters. As in Maya, you can preview high-resolution versions of your characters using the subdivision surface technology created by the Pixar animation team. Mudbox is a brush-based 3D sculpting and painting application built to address the needs of digital sculptors and texture artists. Mudbox was first used to help in the 2005 Peter Jackson remake of King Kong, created to accelerate the design and sculpting efforts. Its primary use is for high resolution digital sculpting, texture painting, and displacement and normal map creation. It can also be used as a design tool. 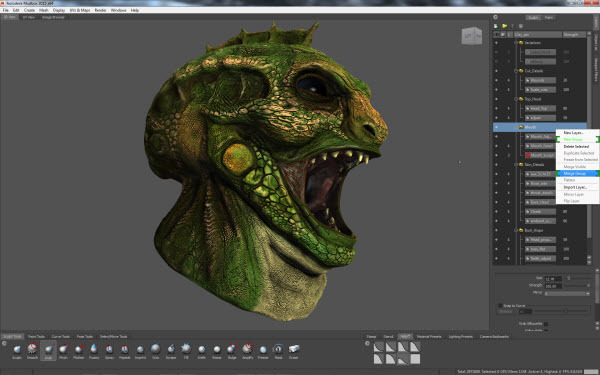 Mudbox gives digital modelers the ability to manipulate digital surfaces in an organic manner, either imported from existing files or generated using one of the basic sculpt templates provided with Mudbox. Completed models can be exported from Mudbox to be lit and rendered in other 3D applications. So what is new with Mudbox 2015? • Symmetry options for retopology and for existing meshes now let you enforce topologically symmetrical results when retopologizing meshes. This can be helpful when working with scanned data where all of the information is not available. • Sculpt Layer and Paint Layer groups give you the ability to better manage your layers in Mudbox. This will allow you to better identify layers in complex scenes as well as toggle visibility of a group so you can focus on a particular area of work. You can even save versions of your work until you decide what works best for your scene. • New Caliper tool enables you to measure the distance between two points on or along a curve. This lets you make sure that meshes match a desired scale or fit with other objects that are created separately within the scene. 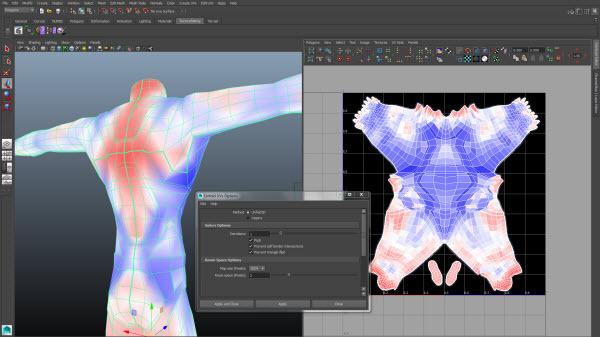 • Enhanced Interoperability with Maya now lets you send single or multi-tile UV and Ptex textures to Maya and back again using the file send-to options. This will help streamline your workflow and create single-step interoperability between the two applications. • Support for Intel HD Graphics 4000 lets the software run on certain Windows 8 operating systems, hybrid tablets, and PCs. This lets you take advantage of some of the new pen-based and multi-touch systems that are available, giving you even more creative outlets for your workflow. 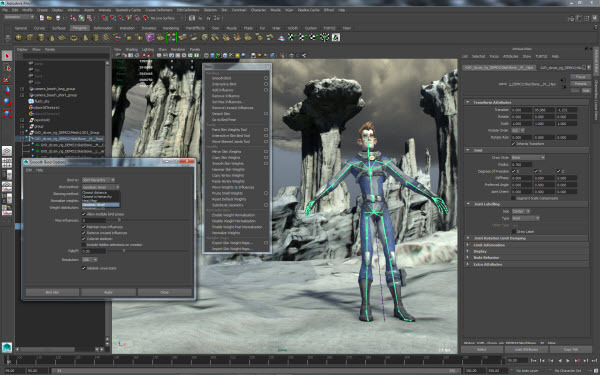 Maya 2015 is a mixed bag as far as features and performance. The updates to Bifrost, Geodesic Voxel Binding, and Xgen land on the features side, as do the changes to Viewport. On the performance side you have the Pixar Open Subdiv surfaces integration which provides a boost to performance. The send-to integration between Maya and Mudbox is really a nice feature, letting you easily work with both with a live connection between the two. Within Mudbox, the layer groups functionality is really nice for keeping functional areas together and being able to organize all of your work. As far as Maya LT, it makes for a nice tight game development piece that will work nicely for independent game developers who want to take advantage of a strong set of creative tools to create high quality game designs. The big shining spot in the Autodesk Entertainment Creation Suites 2015 Ultimate is still 3ds Max with its speed improvements and new features. Maya has also improved within the modeling arena and UV workflow. The other products make this all a very worthy update and so I can easily recommend this product. If you want, you can download a free trial and see for yourself.